Dr. Canzoneri studied at Loyola Marymount University and then went on to earn his doctorate degree from the Northwestern Dental School. 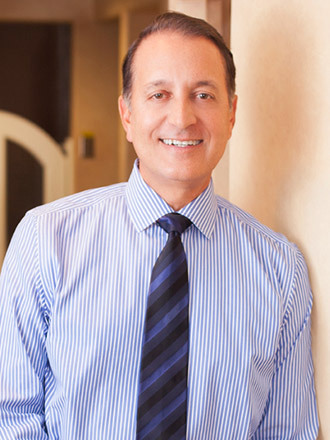 He opened his private practice in Arcadia shortly after and has been serving our patients here ever since! Dr. Canzoneri is passionate about dentistry and dedicated to advancing his practice through continuing education. He has studied with the prestigious Hornbrook Group and is also a graduate of Dr. Bob Lee’s bio-esthetic occlusion program. In addition, Dr. Canzoneri tours the country and lectures on cosmetics and laser dentistry, and he has published several articles in local newspapers. Currently, Dr. Canzoneri holds membership with the American Academy of Cosmetic Dentistry (AACD), the Academy of General Dentistry (AGD), the Southern California Academy of General Dentistry (SCAGD), and the Academy of Laser Dentistry (ALD). He promotes technological advancement in dentistry through his participation with the World Clinical Laser Institute (WCLI), the world’s largest laser dentistry education organization. In addition, he has completed the Mastership requirements with the WCLI, and he resides on the advisory board and certification committee. To administer oral conscious sedation, Dr. Canzoneri is certified and holds membership with DOCS, the Dental Organization for Conscious Sedation. The name Canzoneri is an Italian derivative of the word ‘song.’ Dr. Canzoneri has a strong Italian background, though he has lived in Arcadia since the age of three. Dr. Canzoneri and his wife Michele have been married for nearly 30 years, and they have four children – two girls and two boys. Dr. Canzoneri truly loves dentistry, improving smiles, and learning about how teeth work. He is involved in his community through Holy Angels Church as well as the Arcadia Chamber of Commerce. He also enjoys surfing and has ridden waves in Hawaii, Costa Rica, Mexico, and California. Other hobbies include planting in his yard, visiting the gym, and spending time with his wife and children.